Wait a minute… Can Mina say something here? Note: this is actually Mina’s post, cross-posted from her blog. 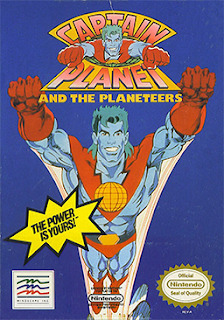 For pretty obvious reasons (i.e., Captain Planet is heroic, I am maniacal). Really though, I need to make some clarifications before I move forward with this program, and especially with this record of what I’m doing. I have reservations about the effort – I can’t help but worry that I’m being seen as a missionary, a charity worker, the most privileged, or the one who gets to do this just because I can. And, what’s more, I detest the image that’s attached to this kind of work: the upper middle class, pretentious, liberal arts student who’s been given a healthy dosage of left-leaning guilt because of socioeconomic standing. 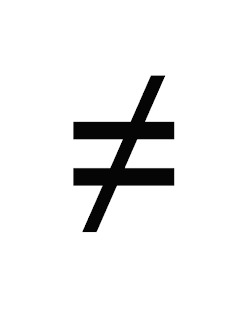 I want it to be eliminated completely, but I fear that hope may be problematic because it seems that the more I try to abolish this misconception, the more it perpetuates itself. On Thursday night, I agreed to facilitate an Anti Oppression workshop at an SoS meeting. Hannah, an SoSer who goes to Barnard College in New York, helped me organize the list of things I wanted to hear people talk about, but I had very specific ideas about where I wanted the discussion to go. This whole “do-good/help others/make the world a better place” idea, the mindset I believe we’re socially conditioned to follow, irritates me. It implies philanthropy, or charity, rather than reciprocity, which is truly why I want to be here. For the Anti Oppression discussion, I asked people to fill out a questionnaire about their socioeconomic background, which made me uncomfortable in the first place, but which I thought was necessary to get at the divides that lie between us. I have always felt privileged. I’ve never been deprived of anything materially. Yet, growing up in a wealthy suburb of Milwaukee, there were times when I felt less socioeconomic privilege than others. It’s absurd to think of how driving a Honda rather than a Lexus to school may have categorized me in a group separate from my peers, but it did. And the experience has forced me to reflect on the significance of context. There are some clear socioeconomic divides between myself and the people I’m working with this summer. The neighborhood that Summer of Solutions is based in has a median income that is only 35% of the median income in the greater Twin Cities area. Most people living there are people of color or of ethnic minorities. Make no mistake, there is a tremendous contextual gap between the college students working on this program and the residents of the Phillips community. That’s where I want to draw a distinction. I am nobody’s savior but my own. I don’t intend to rescue the planet; although that would be nice, it’s just not realistic. It even came up in the discussion that people had concerns about the name “Summer of Solutions” because it implies that we know everything and we’re here to impose our beliefs on those who don’t. Two participants in the discussion brought up interesting points about this topic. One said they worried that the only way people regard the “middle class” is as a group of individuals who are perceived to have more wealth than others and are only capable of doing good in the world by redistributing that wealth to who they consider to be the “have nots.” Another person’s comment also got me thinking: they basically said that if people look to help others in the world without helping themselves, they’re stupid. They were getting at a point about everything being reciprocal, and how self interest is embedded in all motivations. I can’t stress how much I agree with that notion; the work I am here to do this summer is for mutual benefit, and I intend for it to be perceived no other way. Ok, so that was a long time rambling about some pretty vague ideas that have been turning over in my head the past couple days. I think it’s important though to make it clear what my intentions are for this summer. I heard about the program last semester and figured it would be cool to give it a shot, so here I am. There’s a reason I’m not at home in Milwaukee with friends and family – I feel that I’m truly going to have a life changing experience. On that very exciting note, I’ll close this entry. I’m going to be keeping these things in mind as I move forward with SoS and think about my personal goals for the summer. Wooot!! This entry was posted in Local Programs and tagged anti-oppression, personal stories, twin cities by rubylevine. Bookmark the permalink.